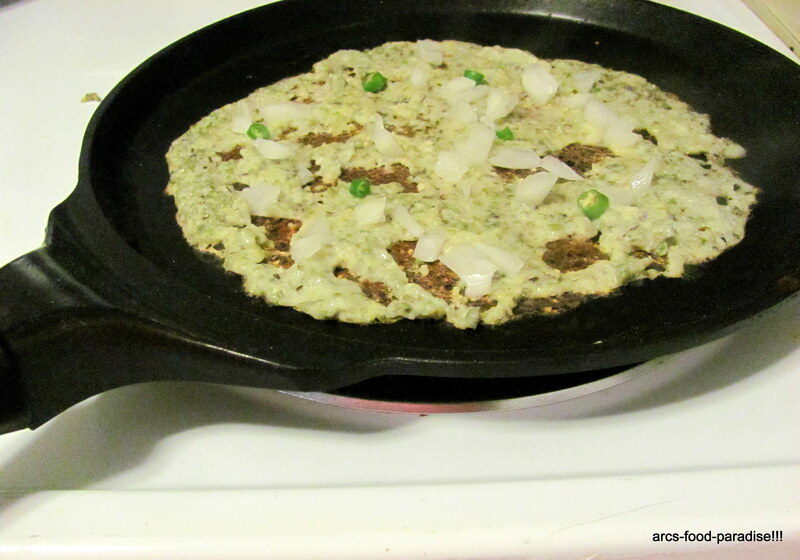 Pesarattu – Moong Dal Dosa (Green Gram Crepes) | The Flavor Nook! 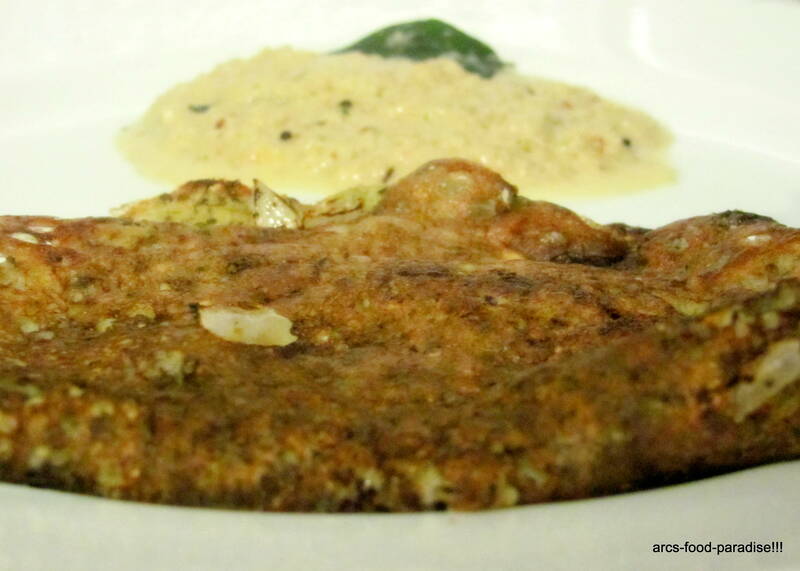 ‘Pesarattu’ is a specialty dosa made from ‘Pesarlu’ or ‘Moong dal’ or ‘Green Gram’. It is a part of authentic’Telugu’ cuisine. Traditionally, it is popular as a breakfast option but can also substitute for a brunch or an early dinner. It is often served with ginger chutney or palli (peanuts) chutney. And since it is made from ‘Green Gram’, it is definitely a recipe under the healthy category because of its high protein content just like any other type of lentils. 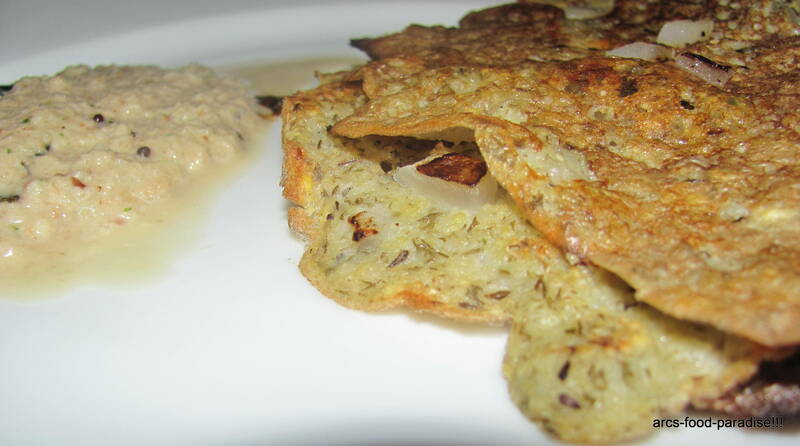 So, lets get down to the recipe for these delicious lentil crepes. 1. Soak the moong dal in water overnight. The next morning, you’ll see the dal doubles in quantity. Drain all the water and give a quick rinse under cold water. 2. Take a blender, add half of the moong dal to it. 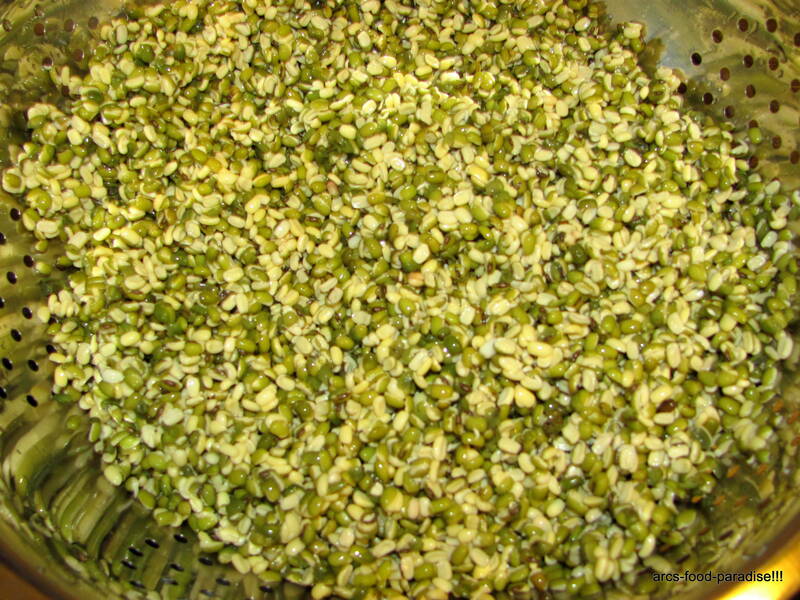 Also add green chillies, cumin seeds, ginger, salt and coriander leaves to the blender. 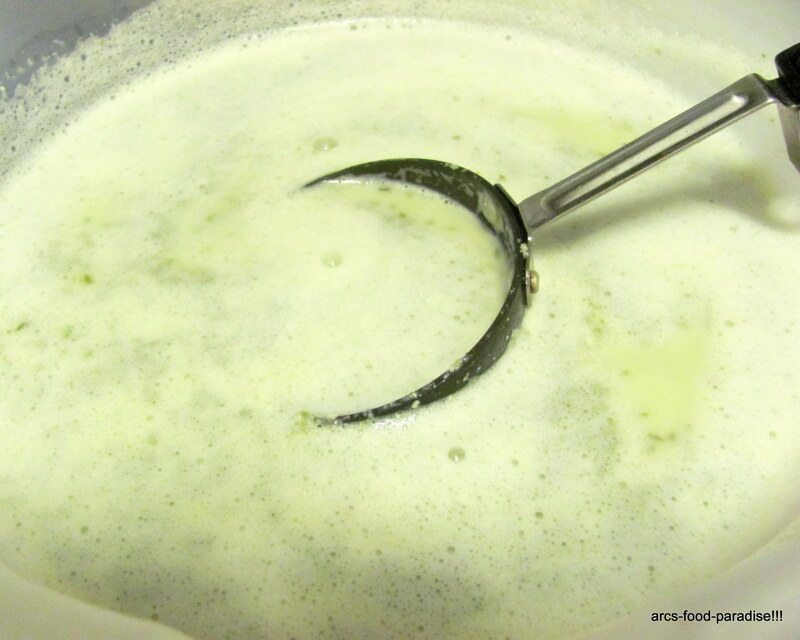 Add a cup of water and blend into a smooth batter. Add more water if needed. Repeat the same with the remaining moong dal. 3. After the batter is ready, add about 1 or 2 cups of water to make the batter thin but not too watery. At this point of time, I added half a cup of semolina so that the pesarattus come out crispy. Give a taste test and adjust salt if needed. Now, the batter is ready to go. 4. Heat a dosa pan (any nonstick pan should also be ok I guess). The pan should be hot for crisp pesarattus. 5. In the meanwhile, finely chop onions and green chillies and keep it handy while making the pesarattus. 6. When the pan is hot enough, add a tsp of oil on the pan. Spread it over the pan with an onion. This gives a nice flavor to the pesarattus. Using a ladle (I used a small tempering pan), place batter in the center of the pan and spread it out as thin as possible into a circle. 7. 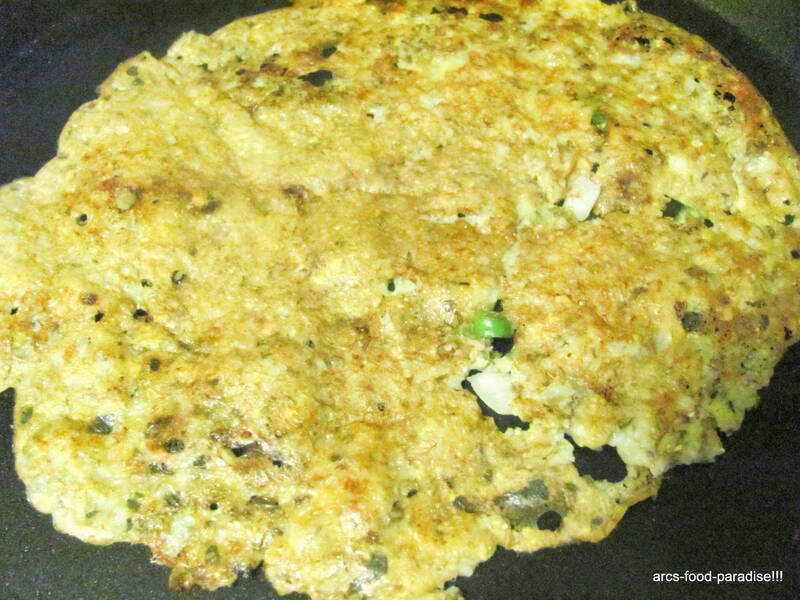 Add onions and green chillies on the dosa now. Also add another tsp of oil around the dosa. Wait for about 2 mins or until the dosa is golden brown. Flip carefully and let it sit for another minute till the other side is also lightly brown. Remove it onto a serving plate or even better a wide hot pack. Enjoy hot with chutney of your choice. We love it with palli (peanuts) chutney. – Making ‘Pesarattus’ is time consuming. So, better get the batter done well ahead (probably the previous evening). You can refrigerate the batter and when its time to make the dosas remove and get it to room temperature. Pingback: Tamata Pappu/Tomato Dal | Food Paradise!! !